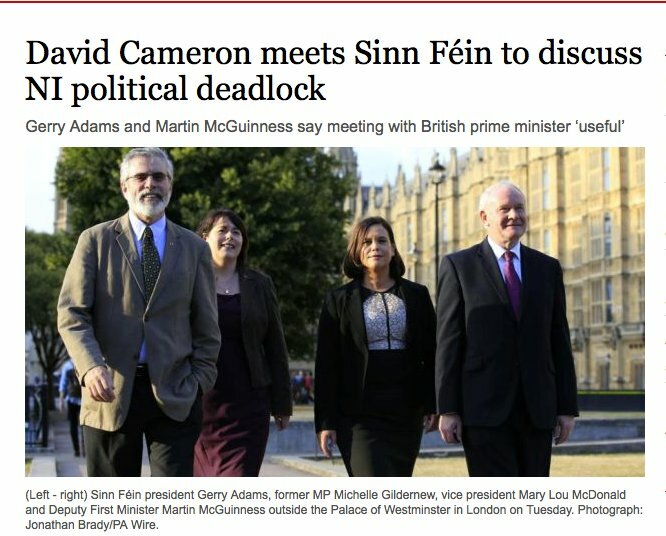 ← NY Times Welcomes ISIS To An Exclusive Club – Say Hi To US, UK, EU, Australia, Israel, Etc, Etc…..
Sinn Fein Threaten Collapse of Assembly. Honestly! This entry was posted in Uncategorized and tagged 10 Downing Street, David Cameron, Gerry Adams. Bookmark the permalink.